Gone on a YouTube binge lately? 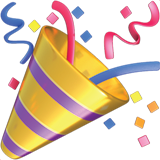 Fallen down the rabbit-hole of celebrity interviews, cat compilations, or music videos from your favorite band? Did you know you can pay for all that? 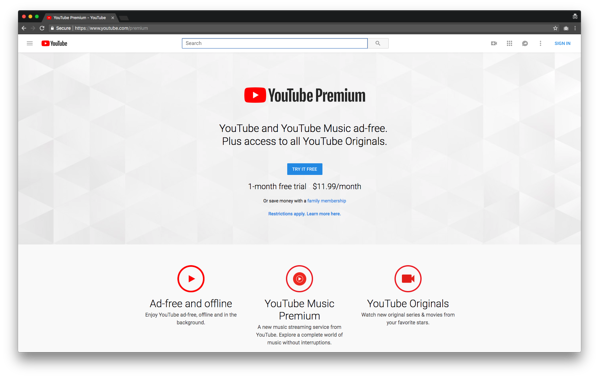 In this episode of Pricing Page Teardown, we dig into the components of YouTube Premium, the platform's attempt to monetize its massive user base. Though the product is fairly new, they've already got a handle on their core customer and their willingness to pay. 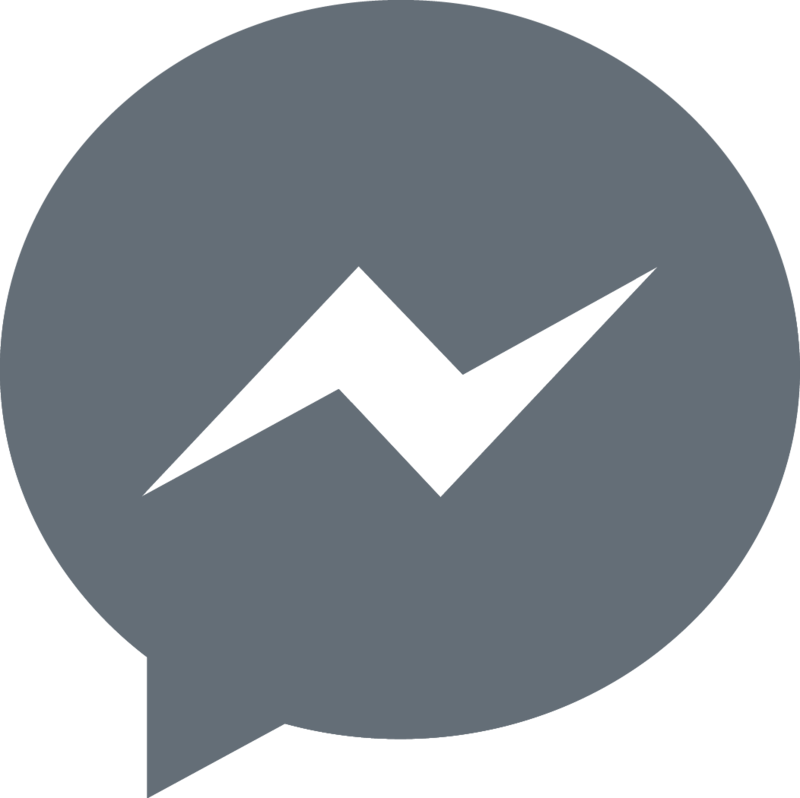 However, we also see key areas where the company could localize, segment better, and increase its margins. The ability to save and watch videos offline. The ability to keep playing your videos in the background on your phone. Access to all YouTube Originals. The $11.99 price point fits neatly into the willingness to pay of YouTube's core market: Millennials. 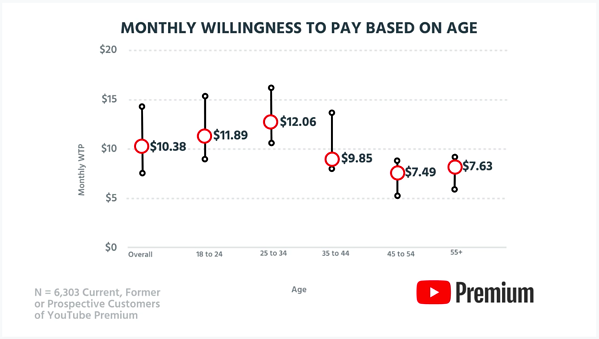 Our survey of 6,303 current, former, or prospective customers of YouTube Premium shows that the single price point sits just pennies away from the median willingness to pay for both the 18 to 24 cohort (median: $11.89) and the 25 to 34 cohort (median: $12.06). Gen Z is also on the company's radar, soaking up YouTube and re-creating it in ways that even the founders might not have imagined. While significant payment data doesn't exist for users under 18, based on the content that these viewers are uploading — which in turn is inspiring many of YouTube's own original series — it's evident that these young viewers will remain critical players in the company's strategy. Originals like LIZA ON DEMAND, a show that follows a young woman juggling several jobs in the gig economy, is poised to take off after its founder Liza Koshy's independent channel hit 1.6 billion views. She pulls in monthly ad revenues of $10,000 to $15,000 on each new video, along with revenue from sponsorship and continued revenue from her older videos. YouTube is the top service for entertainment streaming in the younger demographic. Thirty-four percent of Gen Z users prefer the platform to competitors like Netflix and traditional TV. If YouTube continues to deliver original and engaging content, the gap between the company and its competitors could widen. While YouTube's strategy does and should reflect Gen Z and Millennial demand, our data shows that the company shouldn't discount Generation X (ages 36-51) and even Baby Boomers (ages 52-70). These groups still retain enormous spending power (and watch a lot of TV). While they are willing to pay ~18% and ~37% less ($9.85 and $7.63), respectively, developing content that speaks to them is still worthwhile. HD Video is a clear standout. Viewers have indicated that they're willing to pay 70% more over standard video. With more teenage and young adult viewers watching YouTube like Netflix and creating and uploading their own content, YouTube Originals aren't far behind in popularity. Viewers noted that they would pay close to 40% more for these products. Ad-free and Background listening features are also worth it, both ticking in at approximately a 20% premium. Unfortunately for YouTube, in its bid to compete with Spotify and Apple Music, listeners aren't convinced that YouTube Music is better than what they're currently using. The service resides in Trash Land, with a 40% lower willingness to pay. Competition is particularly fierce in this space, with up-and-comers like Deezer and Tidal also vying for their share of listener attention along with the giants of Spotify, Apple, and Pandora. What could pose an even further challenge: YouTubers are accustomed to listening to music on the platform for free; it's been a go-to for background soundtracks (and lyrics) almost since inception. It's still the early days for the new service, following the May 2018 launch, and it will be interesting to watch how YouTube tries to squeeze out additional value in the months to come. So far, we've seen them attempting to drum up excitement with events like Indie-Con's Women's Breakfast Panel in July 2018 and the presentation of Rolling Stone's re-launch. But so far, users aren't buying it. A significant opportunity for YouTube, though, is currently a separate offering altogether, YouTube TV. This service gives subscribers access to live TV from 60+ networks, local sports and news. Niche networks like AMC Premiere, Fox Soccer Plus, Showtime, and STARZ are available as add-ons. No cable box needed. While it might seem pricey at $35/month (over and above YouTube Premium) — YouTube has found a niche here. 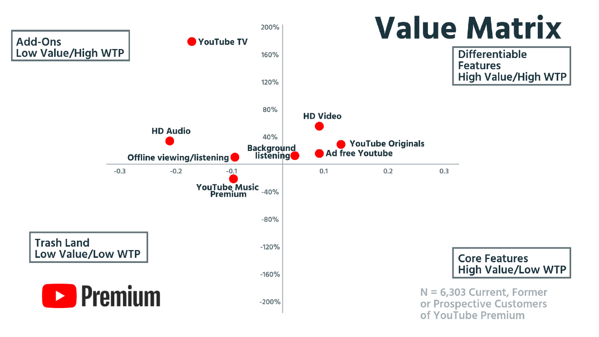 Viewers value the service at a ~180% premium to the company's free platform. Keeping YouTube TV separate from YouTube Premium also ensures that Premium subscribers that don't want to pay aren't alienated. 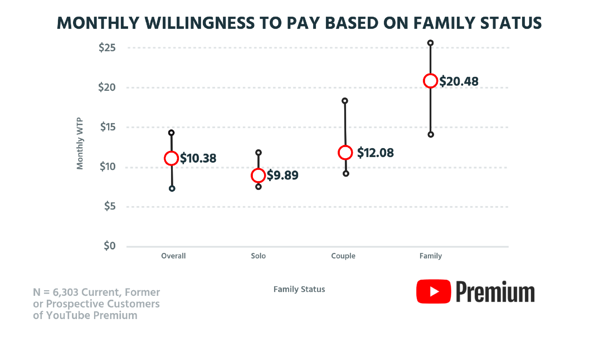 For YouTube Premium, an individual's willingness to pay comes in close to $11.99 at $12.08, yet our data shows that a group of six would be willing to pay almost 14% more than the current price of $17.99/month. The high end of this range, $26, would be a 45% increase. YouTube has an opportunity to adjust its pricing model here to better meet customer demand and capture additional revenue. In addition, although YouTube only offers one flat rate, it's clear that customers are willing to pay different amounts, based on where they live. 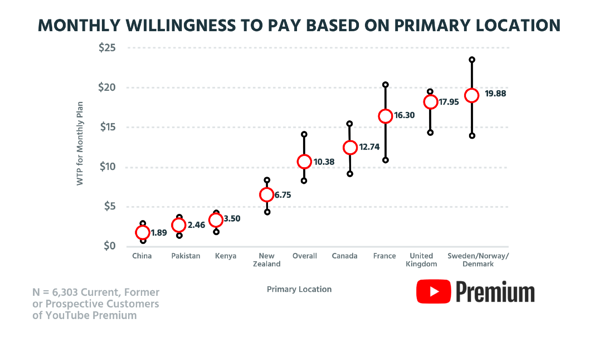 While overall (worldwide), responses fall close to the $11.99/month threshold, Canada, France, the U.K., and Nordic countries are all willing to pay more for YouTube premium, while countries like Kenya, Pakistan, and China would like to pay less. Given the large volume of current and potential users in countries with lower costs of living, YouTube could benefit from reducing prices to capture more customers. At the same time, raising prices in countries where individuals have higher incomes is a quick way to generate additional revenue. 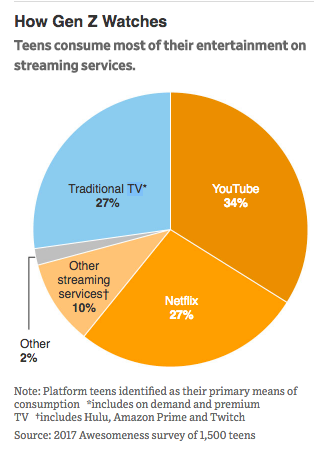 YouTube is dominant in video streaming. With $9 billion in annual revenue and a market cap of $614 million, it has grown to be one of Google's smartest acquisitions to date. But even giants can't rest on their laurels. Down the line, we'll likely see YouTube developing its content and harnessing the power of its younger user base to compete directly with Netflix originals and Amazon originals. Peter, in particular, wants to see content for the older demographics — and is excited about the growing potential for YouTube TV. Despite a tough road ahead for YouTube Music Premium, with the many creators already on the platform, it still has potential down the line.